It appears to be a requirement that all rules relating to parking and pavements should be confusing and ineffective and slow to come into force. By way of example, lets look at the relatively introduced legislation which bans parking across dropped kerbs. This legislation received Royal Assent back in 2004 with the Traffic Management Act of that year. Royal Assent was followed by five years of consultation on these new rules during which time the AA, needless to say, objected saying that it would be entirely unreasonable to expect motorists to know that it was illegal to park on dropped kerbs unless the council installed white lines on every single one at their own cost. I am glad to say that the government ignored them and the legislation was finally ‘enabled’ in June 2009. We should of course be grateful that the legislation was enabled at all, given that legislation which would have banned pavement parking entirely which received Royal Assent in 1974 was never enabled at all! Now comes the ‘confusing’ bit. As I have said, legislation needs to be confusing. Part of the small print of the 2004 Act says that these new powers will only be available in places that adopt new ‘Special Enforcement Area’ status. Every Council wishing to use these powers then had to apply for this Special Enforcement Area status (as distinct from ‘Civil Enforcement Areas’ which many had already been granted). To make it more complex Special Enforcement Areas can be applied for covering either an entire area of, or only part of a Civil Enforcement Area. So.. the next question of course is to find out if my town and which other places have been granted ‘special enforcement area’ status. Is there a national map of these areas? err… no; is there a published list of such areas? err… no. Is it clear from my local authorities website if my town has been granted these powers? err.. no. The only way I found out that they had was to email them. The good news is that it has been enabled in my areas and people do get fined from time to time I understand. The bad news (for pedestrians) is that my local police didn’t even know that it parking across dropped kerbs was actually illegal and apparently refuse to enforce it in some cases. 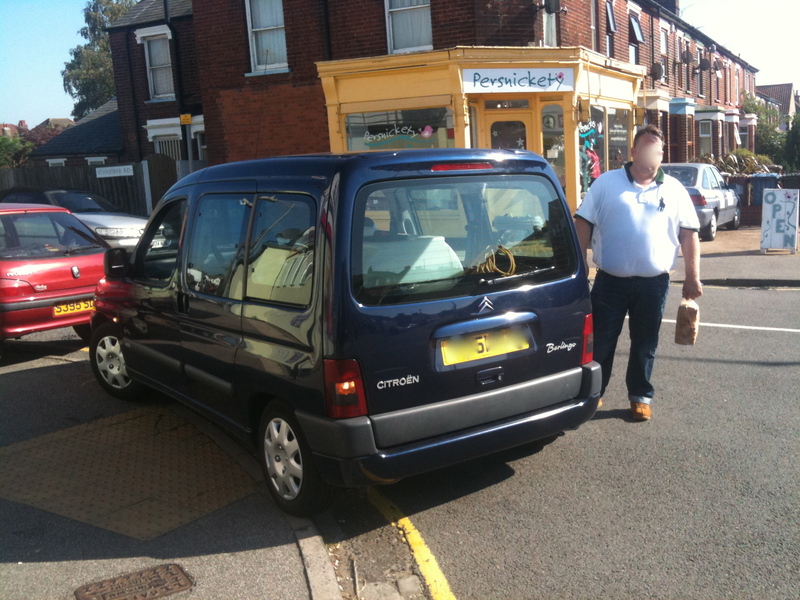 Here is a local driver explaining to be that he finds that this particular dropped-kerb is a very convenient (and often available) parking spot when doing his local shopping.